Welcome to the hotel Raben in Zofingen! 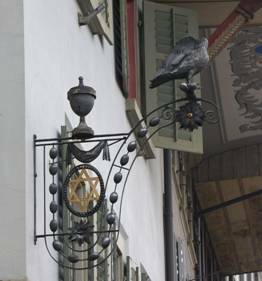 In the middle of the medieval old town of Zofingen, you will live in a historic environment. Lovingly decorated houses, stone paved streets and beautiful squares with fountains surround the hotel. The hotel offers nine modern and contemporary rooms, a function hall, a seminar and breakfast room. The staff of the in-house restaurant will give you a warm welcome and is looking forward to being your host. Enjoy the central but quiet spot to recover from a hard days work or as a starting point for excursions in the multifaceted region.